We are nearing the end of June, and one of my favorite holiday’s is right around the corner. 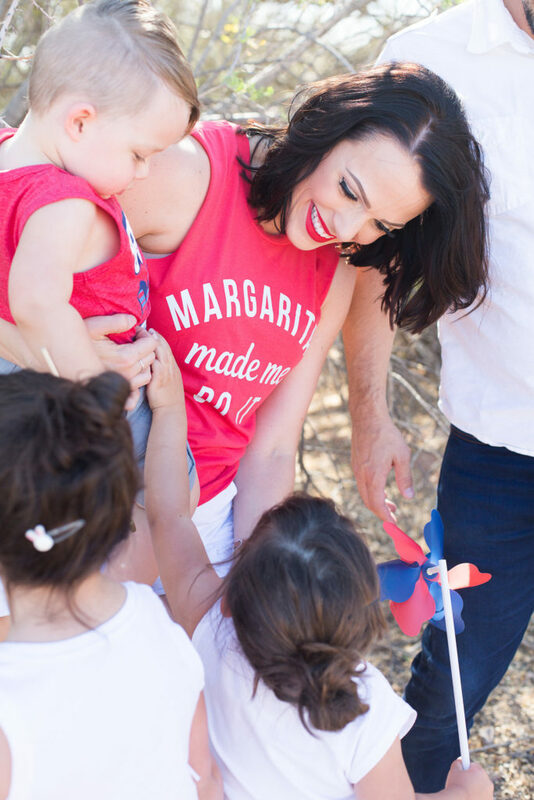 I love celebrating the 4th of July because it’s always a time where the whole family comes together for barbecues, fireworks, cocktails, and fun. There is something about this holiday, that feels like the epitome of summertime to me. 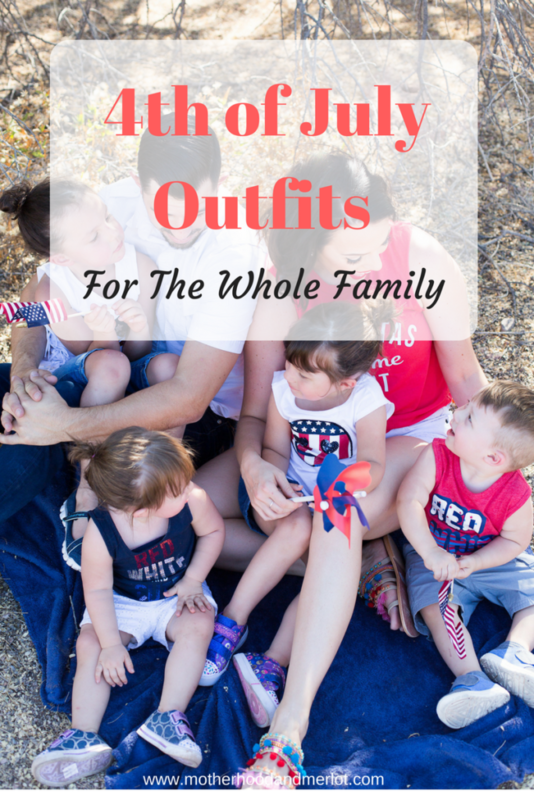 Today, I am sharing some 4th of July outfits for the whole family, from little ones to adults. *I have partnered with Skechers to bring you these outfit ideas. All of the shoes features are from the Skechers brand. All opinions are my own. 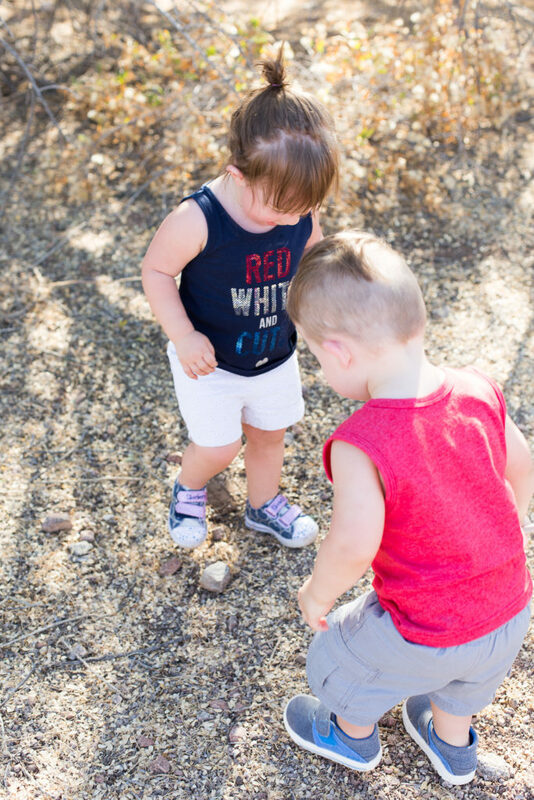 All photos in this post were done by the fabulous Kirk Photo Co.
For starters, how cute are the tops my little ones are wearing? All of the girl’s outfits are from The Children’s Place, which is one of my favorite places to shop for them. I love the fringe details that they have, and the more simplistic style. I remember my mom always used to go to Old Navy to get their classic 4th of July tees, and these seem like a more trendy version of those. Plus… a “margaritas made me do it” tee? Come on… that screams 4th of July in my book! Skechers has come out with some fabulous styles recently, especially for the summer months. They have many different styles that feature Air-Cooled Memory Foam insoles. 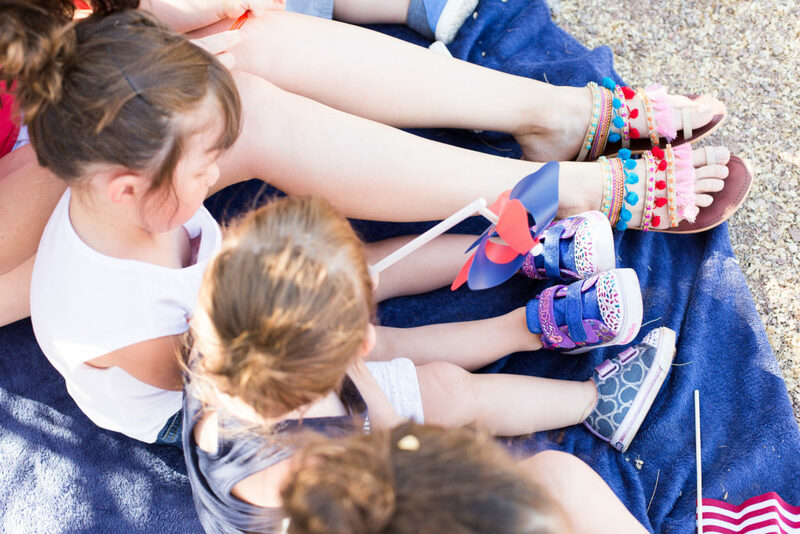 By ventilating air outside of the shoe, your feet will stay cool amidst the warm summer temperatures. When I think Skechers, it takes me back to the old school tennis shoes with the big “S” on the side, or the thick, platform tennis shoes that people used to wear when I was in elementary school (showing my age right there). The styles that they sent for my family are awesome! All of my kids loved the shoes they picked out. What are your favorite Independence Day activities? 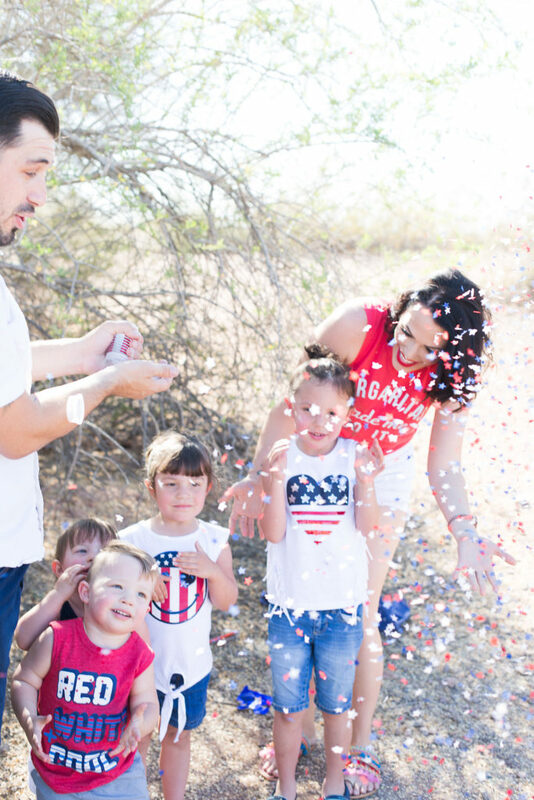 Do you wear 4th of July outfits for the whole family like we do? 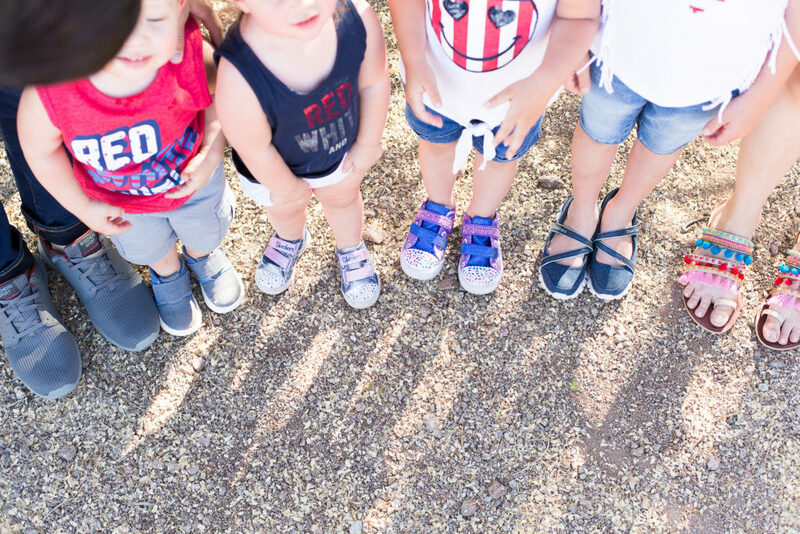 These outfits are perfect for 4th of July; not to mention adorable! Love all of these! I’m so glad I’m not the only mama who makes her family coordinate for the Holidays! So cute! 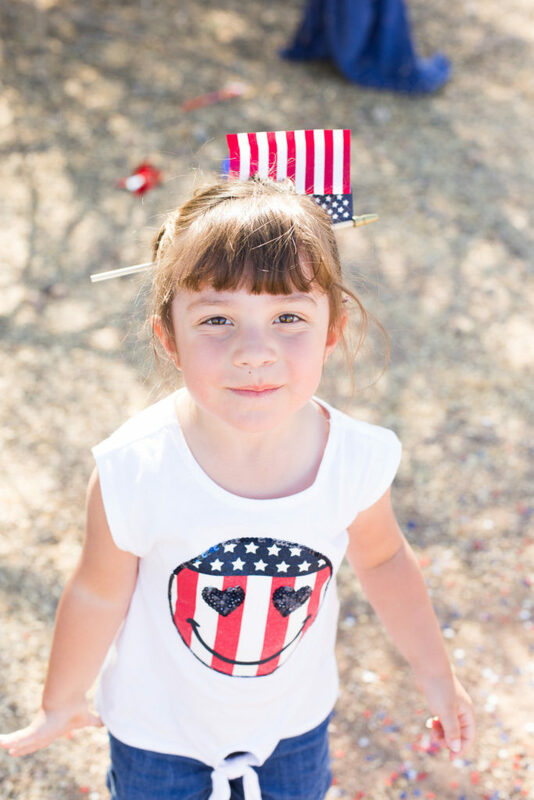 We love patriotic wear in our house! Such cute outfits! I do need that Margaritas made me do it t-shirt in every color! So cute!! Love the shoes!! Your outfits are all absolutely adorable!